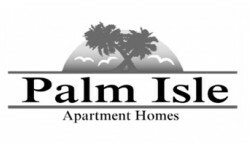 Come let us welcome you home at Palm Isle Apartments, where all the comforts of a beach resort are right at your fingertips. Beautifully manicured lawns, two sparkling pools, and state of the art fitness center are just a few of the wonderful amenities to take advantage of at your new apartment home. We're an established community in the heart of Biloxi, and we are within minutes from the area's best casinos, Edgewater Mall, Keesler Air Force base, and miles of Mississippi's sandy beaches. Our apartments have many great features such as central air conditioning, recently updated appliances, generous closets, well-sized bedrooms, and up-graded bathrooms. Come for yourself to see our beautifully remodeled apartment homes. (228) 900-9687 Text Us for Details!